OSHA has revised its Hazard Communication Standard to include new GHS labeling elements and a GHS standardized format for Safety Data Sheets (formerly known as Material Safety Data Sheets). 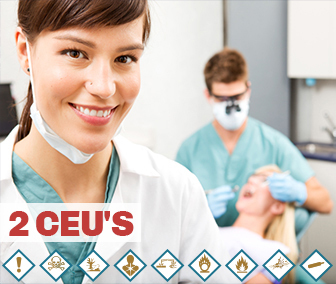 This course introduces dentists, dental hygienists, and other dental practice employees to the GHS and provides them with the information necessary to readily locate information about workplace chemicals, as found on GHS product labels and on the new SDSs. Follow our easy step by step guide. How well do you know your GHS symbols. Try our interactive game and test your knowledge.